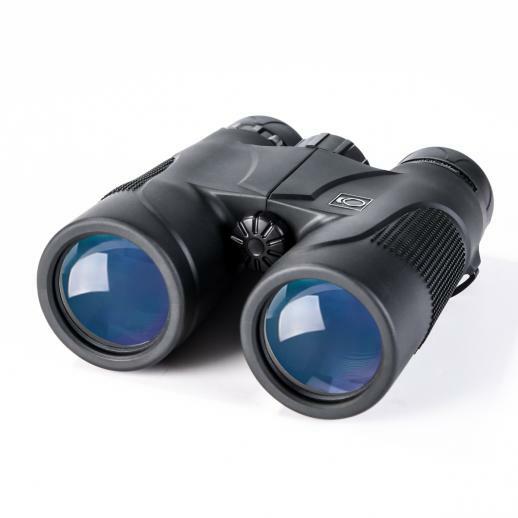 Buy K&F Concept 10 x 42 hd binoculars bak4 for watching birding hunting online, worldwide free shipping and 30 days return guarantee. 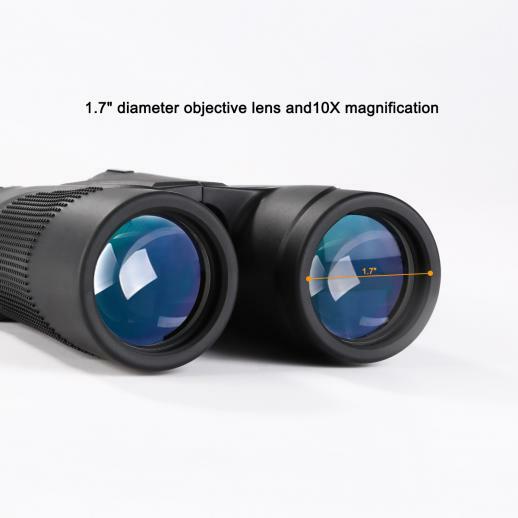 • 1.7" diameter objective lens provides ultra-large field of view, multi-coated lens offers crisp clear images with improved transmittance, and non-slip rubber armor absorbs shock. 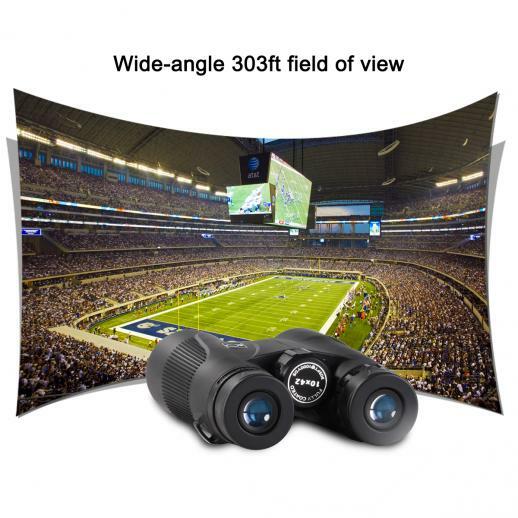 • Want to see dew drops glistening on the field? Feather tips fluttering in the wind? Birds fly in the blue sky? Help you to observe more subtle and clear perspective of the world. 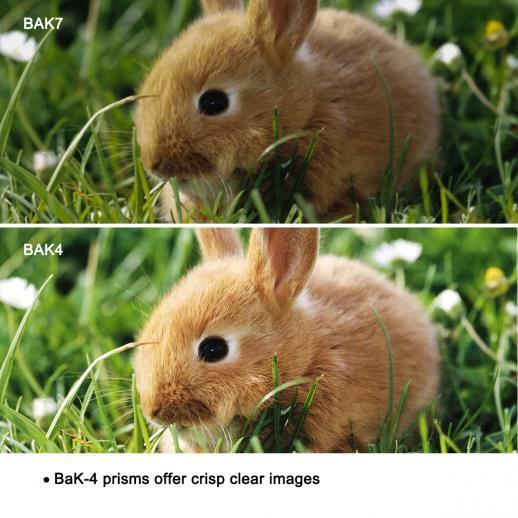 • BAK-4 prisms for enhanced color fidelity and multi-coated lenses for exceptional contrast and brightness. 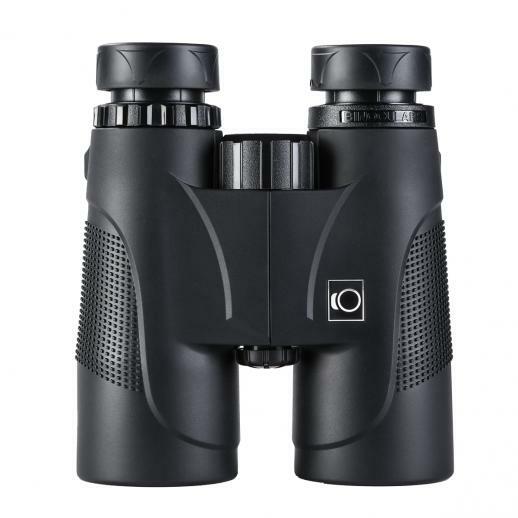 • 10x magnification,42mm objective lens binoculars. Lightweight, open bridge body design with large, precise focus wheel. 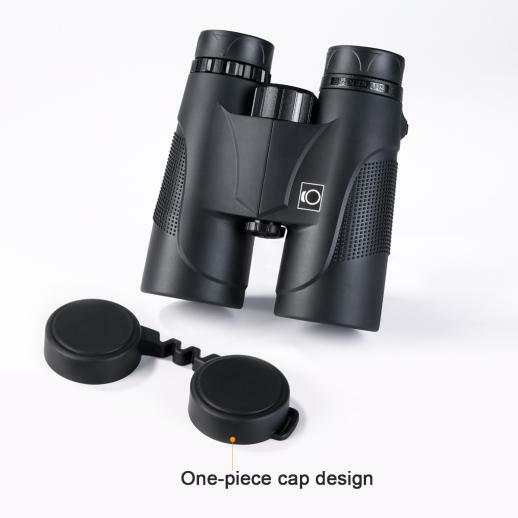 10x magnification,42mm lens, precise focus wheel. 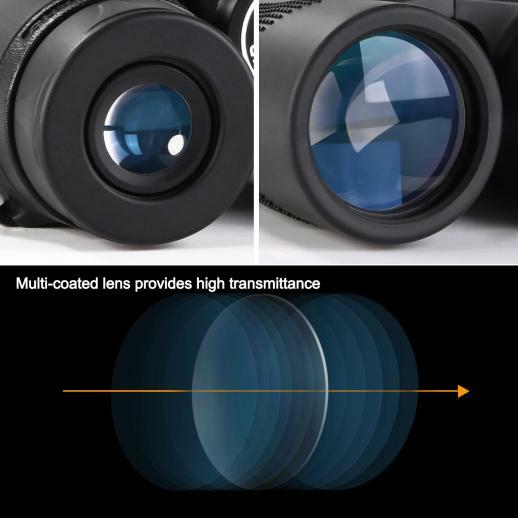 ✮Multi-coated lens can provide you high transmittance. ✮Anti-skip groove helps keep the binacular tight. ✮Strap buckle made of metal, stronger and sturdier. 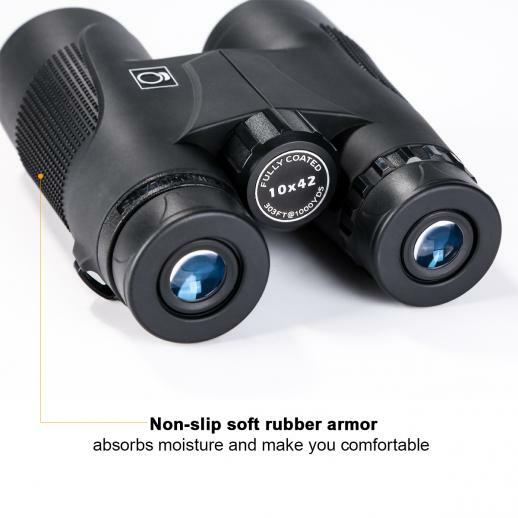 ✮No-slip soft rubber armor to absorbs moisture and make you comfortable. 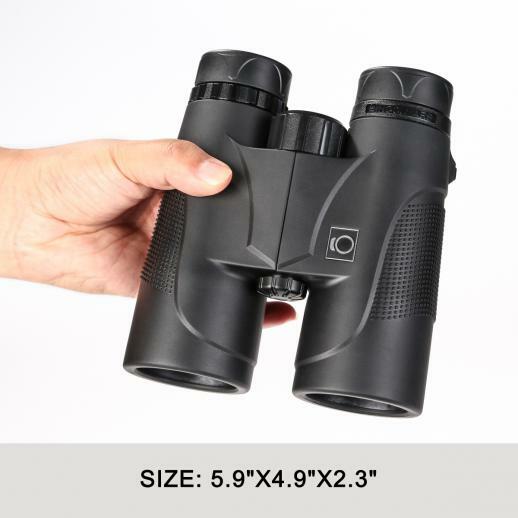 ✮Allows you to get the best view possible for bird watching, watching wildlife or scenery. 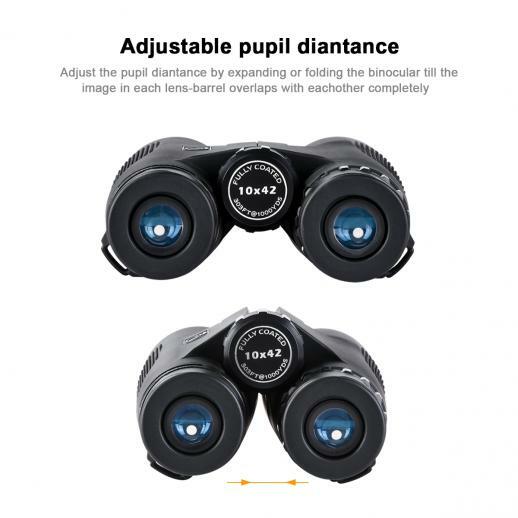 I bought this binocular for enjoying nature while camping. Have yet to go camping this year, but I tested it out on my streets and the view through the lens is quite clear. Unsure if it's actually 10x magnification as I was too lazy to walk and confirm. 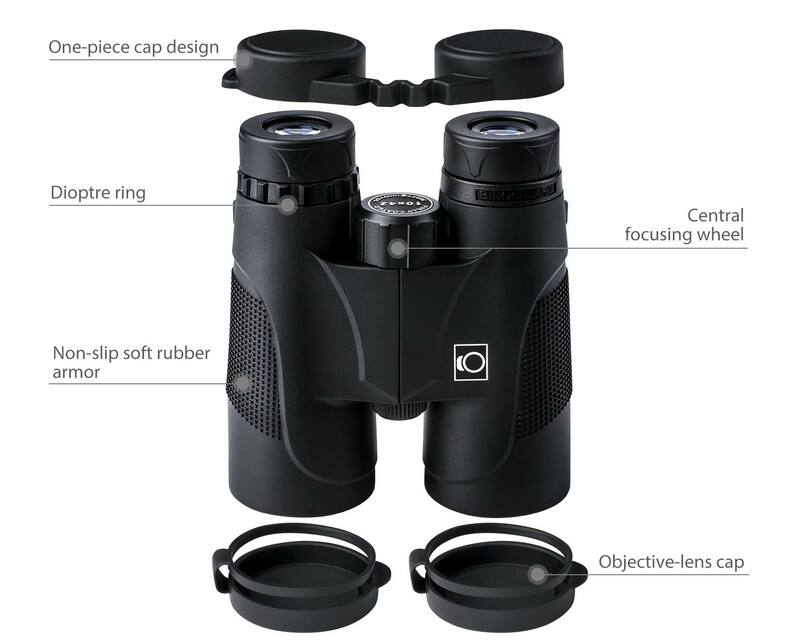 But the lens have individual focus and a main focus dial. and the build quality is quite nice! Also comes with caps for the glass so you don't scratch them. Overall, not bad so far! 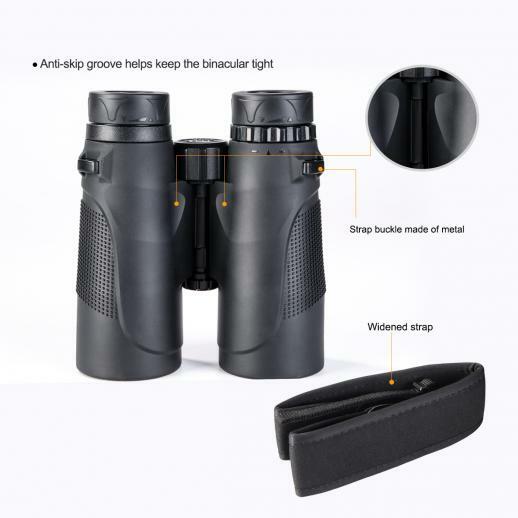 Will test low light night vision and waterproof when summer comes. 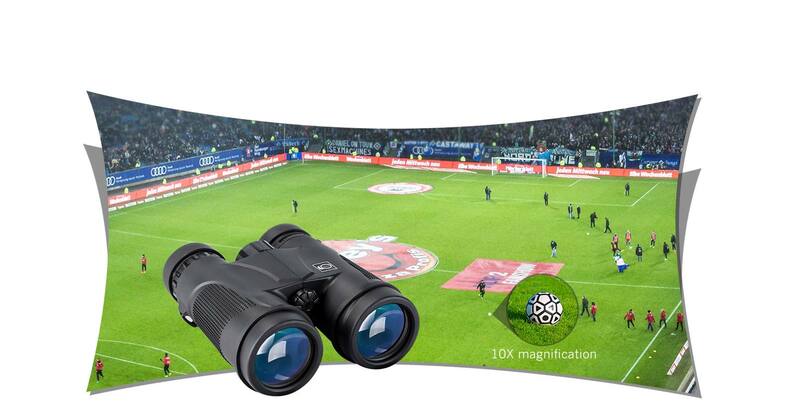 This binoculars are fantastic, I would highly recommend. I cannot figure out how to make these work, there was no manual included. I will check online to get some sort of instruction but wish there had been something in the box. Great range, light and easy to carry. Great quality.